I’m sitting in a coffee shop reflecting on the information I have just received. News of DCS workers receiving five newborn babies in one day and having to halt their desk jobs to care for them. Stories of a new facility being built to house children so they don’t have to sleep on the floor while they try to find homes for them. It is overwhelming and simply not okay. I hear the stories, I know that God has not asked but that He has commanded we care for these orphans. So what do I do? Many of you, like me, are wondering how you can follow God’s command to care for the orphaned according to your calling and gifting. Here are five ways to serve God in caring for the orphaned children in Arizona, I implore you to pick one and begin fighting for the voiceless today. Paul tells us in Ephesians to always be alert and praying for the saints (Ephesians 6:18). So pray for the foster parents; those preparing their hearts and homes for these children, and those already parenting children in their homes. Paul tells us to pray that when they open their mouth words may be given to them so they may make known the mystery of the gospel. Pray that they would share the Gospel daily with the children in their home. Pray for God to raise up parents and homes to house these orphans and pray for these children of the state to be safe and cared for. Set a reminder on your phone to make it a daily priority to pray over this crisis. Respite care is a way to provide short-term care enabling the foster parent to take a break. Some children require round-the-clock intensive care, and this allows for the parents to take a break and reenergize when their energy is running low. Respite care is a great way to minister to families providing foster homes and a way to care for children in foster care. Many foster care organizations have a mentorship program, you can mentor a local foster child in your area. Take this opportunity to pour into the life of a child in need and to provide a positive role model for them. Take a moment to walk alongside someone and live life with them just as Jesus did with so many in His day. homes to these children. To find out more about becoming a foster parent, please see Steps to Becoming a Foster Parent. The first step you can take in this process is to attend an orientation. Here you can gather more information on Foster Care to decided if this is the next step for your family. God has not asked us, He has commanded that we care for these orphans and to do so is to have a heart ready and willing to serve. Arizona Faith and Families is excited to partner with Family Christian Bookstore in Gilbert, Arizona for the Barnabas Bear Project! Purchase a Barnabas Bear from Family Christian located at 143 E GERMANN RD STE 101 GILBERT, AZ 85297 and the bear will be donated to a child in the Arizona foster care system. Thanks for your support of Arizona children in need! 17,000. The number is remarkable. Over 17,000 children in the care and custody of the state of Arizona. The number is staggering, the need is great. The state has contracted with twenty-nine agencies to recruit and license foster parents for this crisis. Of those twenty-nine, six list themselves as faith-based. Six. That’s just 20% of the state’s contracted agencies targeting their recruitment at Christians. That means that 80% of families are recruited from among the general population. The very children we are responsible to rise up and care for. The children we will hold an account for when our days are done, are not being cared for by us. This is no easy task. This is no easy calling. But we will not be measured against its difficulty, we will be measured against our willingness to obey. And there is hope for this generation of children in state care. The first step toward foster parenting is an easy one! Simply attend or host an information meeting. 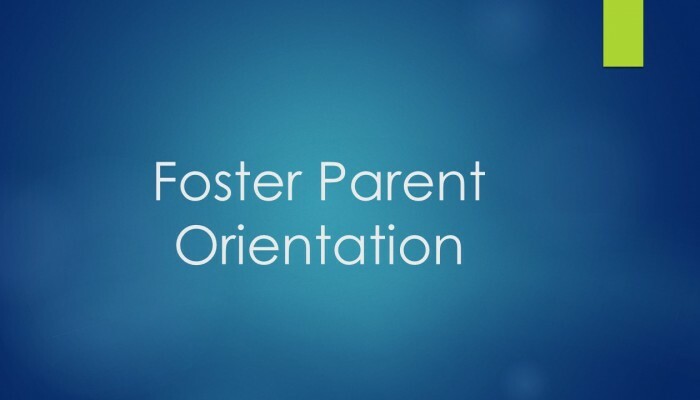 These orientations are one hour long and will give you valuable information about becoming a licensed foster parent. Orientations are held monthly and listed on our calendar. They can also be privately scheduled for your church or group. Contact us today to find out more! Interested in becoming a foster parent now, or a year from now? Orientation is the first step! Arizona Faith and Families collaborates with the Kids Consortium to host these orientations. Orientations happen throughout the valley on a regular basis, the schedule is located here. The state of Arizona requires all potential applicants to first attend these free and informative meetings before beginning the licensing process. During orientation you will learn the steps and requirements to adopt or foster through the state of Arizona. These orientations are open to the public and a list of all Arizona licensing agencies will also be provided. Interested in hosting an orientation at your church or for a special group? Contact us today to schedule an orientation personalized to your location and schedule needs. *Writers Note: The following article contains links to news and data related to this topic. Please take the time to educate yourself on the crisis in Arizona and then pray about where God would use you to move on behalf of children and families in crisis. Spend any amount of time in social services and you will inevitably hear the phrase, “The system is broken”. In fact, the “broken system” has become such a norm that we never really pause to think about it. It is a widely accepted fact that we simply must work within. It’s broken, but we do our best. But the question must be asked: Why is the system broken? And more importantly, can we fix it? With over 17,000 children in Arizona Foster Care, can we really afford to do our best with something that doesn’t work? Children born to broken homes, handed to a broken system; the irony is palatable. I’ve meditated on the issue for the past ten years as I’ve worked in and around foster care and adoption. I have spent a decade with this system and her children. Watched its attempts at success, and had front row seats to its failures. It was broken long ago, and it will crumble with these rising numbers. The current system of foster care will not sustain 17,000 children. It will fail. That failure has a cost no child should pay. Children failed by the system have multiple moves, caregivers, schools, and homes. They are over medicated and under schooled. They are sexually assaulted, physically abused, and lose their lives under the rubble of this system. These traumas have life long consequences. And Christian, it is important to note, that we are the ones holding the sledge hammer. The mess and failures of this system belong to us. It is not the state’s fault that the system is broken, it is the fault of the Christian church who handed it to her. The government is not designed to raise children. It is not designed to heal broken families. So it should be no shock to us that it is not possible for the government to successfully play this role, no more than we would expect an elephant could climb a tree. It is outside of its design, structure, and purpose. The government plays this role not because it is best fitted for the job, but because it must. It must protect its citizens and the most vulnerable of its people. It must play this role, because the church has not. The reality of this truth is painful. The truth that our Lord and Savior tasked us with the care of the widow, the orphaned, and the oppressed. The truth that the job of the foster care system was not intended for a government but for the Christian church and her people. This fills me with so much shame as I look at the disaster it has become. 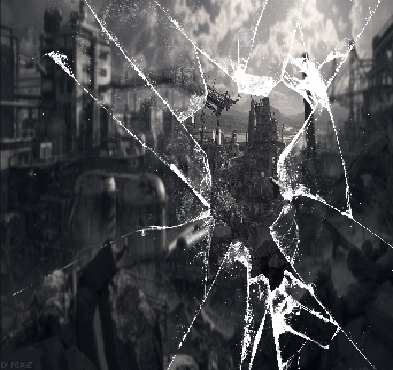 It is so terribly broken, Christian, and the blame belongs to us. This conviction is not meant to chain us down with guilt. It is meant to awaken us. It should sting, but let that sting cause us to open our eyes! We may have failed in the past. We are definitely failing right now. But praise God we do not have to keep on failing. We need not stand in the refuse of the system and keep trudging forward. We don’t have to come up with programs or funding and try to rebuild a broken building with broken bricks. We are not a government or another human institution. We are the people of a Holy Church and worship a Holy God. The God who tasked us to care for the widow, the orphan, and the oppressed only asks that we step forward to do the job. He is the one that will supply the tools, resources, and structure. He is the one who will repair it, we need only show up to work. Will you show up to work Christian? Church, will you rise up and take back your job? The question has been asked: Why is the system broken? And more importantly, can we fix it? The system is broken because of us church, but praise God, Yes, it can be fixed! To find out how to get started please visit our FAQ page and Contact us to get started. What is a biblical model for approaching foster care? So what does this biblical foundation look like? 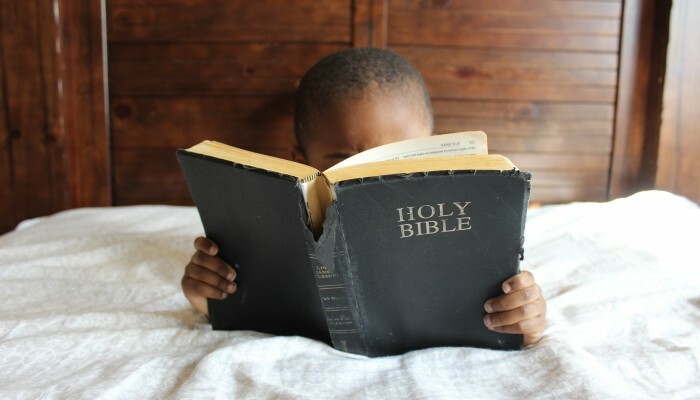 The Bible is the ultimate source of truth for foster/adoptive parents. “All Scripture is inspired by God and profitable for teaching, for reproof, for correction, for training in righteousness; so that the man of God may be adequate, equipped for every good work” (2 Tim 3:16, NASB). Scripture is what equips us for the good work that God has called us to do, and it must be central to the training of foster and adoptive parents. The Bible teaches us to pray. “Be anxious for nothing, but in everything by prayer and supplication with thanksgiving let your requests be made known to God” (Phil 4:6). Christians must pray to seek God’s will, and our agency is committed to regular prayer for parents who partner with us. These prayers are for the purpose of our parents to clearly see God’s will in their lives, for us to accurately identify and understand what each family is equipped to handle, and to ask God to grant each of us wisdom through the process. The Bible has much to say about parenting. “The law of the LORD is perfect, restoring the soul; the testimony of the LORD is sure, making wise the simple” (Ps 19:7, NASB). The children you bring into your home will need restoration. They will need a place to feel safe and heal. Christians are uniquely equipped to provide this environment. These children will also display behaviors that surprise, disrupt, and change your family environment. We can count on the Bible to give us the wisdom we need to parent during these tough circumstances. Finally, the Bible teaches us the power of community. “Iron sharpens iron, so one man sharpens another” (Prov 27:17, NASB). Being a foster parent should not be done in isolation. It needs to be done in community. In most cases this community includes not only your personal family supports, but also the biological family of the children in care. Our staff can personally attest that foster parenting is tough! However, as Christians we have been given the tools that we need to face these challenges head on while bringing glory to our God and Savior. Arizona Faith and Families is committed to helping our families feel empowered, equipped, and supported as they navigate this process. Please contact us or visit our FAQ page to find out more. Thank you for visiting our page! In May, we received news from the state that our agency is now licensed and contracted to provide foster care and adoptive services to Arizona families! We will be responsible for recruiting, training, and licensing foster families. Our contract with the state begins July 1st of this year. You can learn more about the history of our agency by visiting our History page. Arizona currently has over 17,000 children in DCS care. This crisis has been highly publicized in the news and media. Please visit our FAQ page to find out how to take the first steps in becoming a licensed foster family. There are so many ways to get involved. We need emergency receiving homes so children aren’t sleeping in offices, we need respite homes so foster families can receive much needed rest, we need foster families so children have a place to call home in their time of crisis, and we need adoptive parents who are able to provide a forever-family to some amazing kids! Contact us today to find out how to get involved. I attended a conference today. The conference highlighted research by the ACE Study. Before I get to the heart and soul of this post, let me just throw some fast facts your way. In a nutshell, your ACE score is calculated by the various types of adverse childhood experiences encountered while growing up. The score is not per incident, but per category. As a worker in the social services, this research is of particular interest to me. So as I sat and listened (getting totally bummed out b.t.w), I thought the information was fascinating, but now what? How do I reduce these risks for people with high ACE scores? The solution? There really isn’t one. Of course there were some panelists who gave great suggestions for our community and the legislators. But the true reality that Dr. Vincent Felitti pointed out was that there has been no research conducted showing the efficacy of interventions on the health of those with high ACE scores……insert jaw drop here. No one else on the panel wanted to touch that. They politely interjected that there are great programs with great successes, but not ones that have been tested against this data. (Enter moment of panic as I pictured the futures of my high-scoring loved ones). Now it’s time to back up. Programs are great. Early intervention programs are critical. Research is necessary. But as Dr. Felitti pointed out, they’re not the cure. And if we pretend they are, we are slapping a band-aid on a festering wound. As a Christian in a secular culture, I have been very well indoctrinated that faith is to be kept separate from every other aspect of life. Keep your faith out of school, government, health care, public opinion, and particularly research. And as a student of history, I can point out many times when individuals have taken “faith” into these areas and run amuck with their personal agendas in the name of Christ. 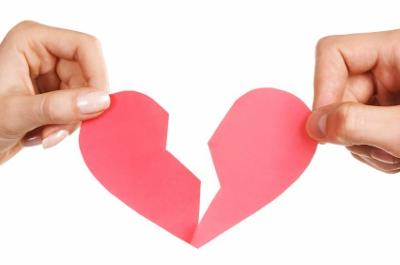 But the devastation of this separation is band-aids for people in need of major surgery. The gospel was not written for perfect, rich, individuals living in their castles. The gospel was written for those individuals with high ACE scores. It was written for the sick, for the dying, for the lost, for the lonely, for you, and for me (Matt. 9:12-13). And the solution is not to create a “Christian” government or “Christian” programs, but rather for the church to rise up and share this truth with the people. Rise up church. Rise up Christian. Because the reality is, if you know the truth about Jesus Christ, you have the truth that makes the power of an ACE score obsolete. It is the power of Christ over sin. Not only the power for you to overcome sin, but also to overcome the scars embedded by the sins of others. Set that Truth free. Don’t be afraid to share it. Don’t separate it from the rest of your life. The devastation of that separation is death, disease, and more devastation. But the reality of the Truth is everlasting life and healing, in this life, or the next.